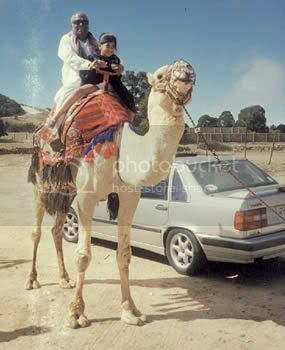 "MSV CLUB" - The Discussion Forum of MSVTimes.com :: View topic - Photo Gallery - NEW !!! Photo Gallery - NEW !!! Posted: Tue Oct 02, 2007 6:14 am Post subject: Photo Gallery - NEW !!! This photo was presented to MSV by our Core Crew Member Sabesan owing to his 25 year of personal relationship with the Legend MSV !!! all photos are rare gems. 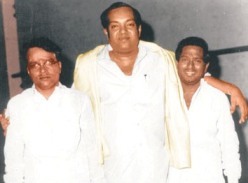 particularly when I was watching the photos when MSV & TKR felicitated, I feel about TKR (dont think I am degrading him) as "poovodu serndha naar". 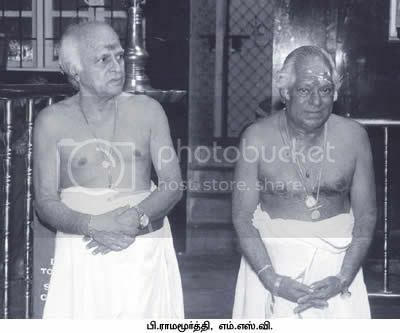 Yes, after he parted from MSV sir in 1965 (ayirathil oruvan), if he did not join with our Master after 30 years duration (engirundho vandhaan), these functions and respects from the cine music world will be not even in his dream (ettaatha kaniyaagave poyirukkum). After his partition, our Master achieved well than before. 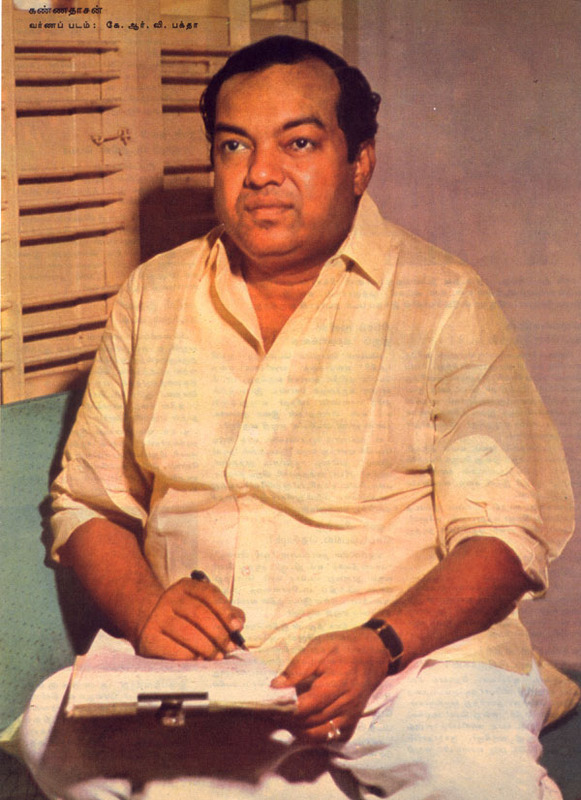 His remarkable movies has come after MSV sir started to do individually. 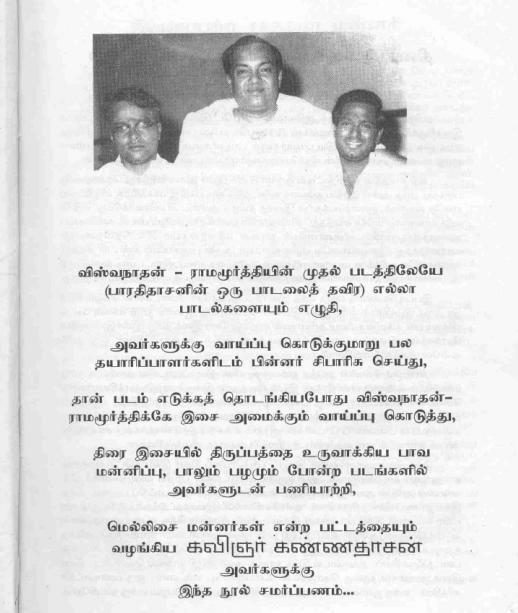 So these felicitations (including Doctorate) are merely by luck for TKR, because of his rejoining with MSV sir. 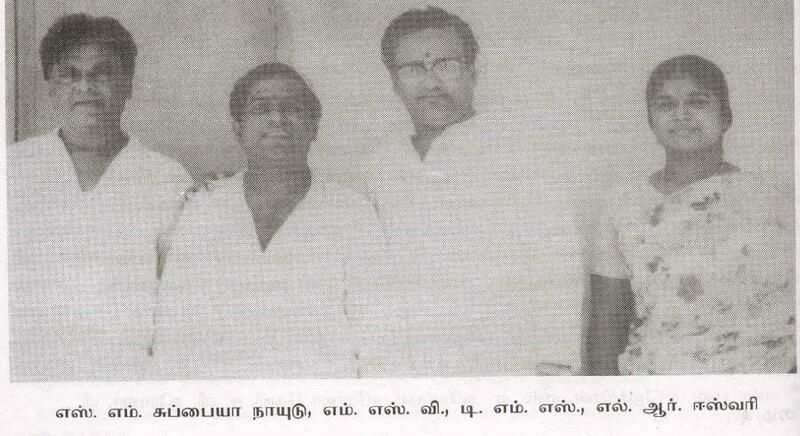 I love watching the photo with Arignar Anna again and again !! 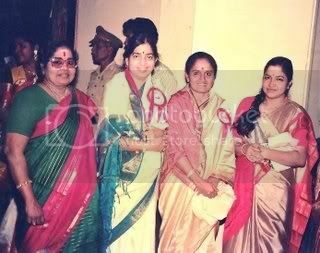 MSV looks very young there ! All the photos have an enthralling impact on seeing the gems slowly receding from public gaze though not from memories [i]per se[/i]. All the personalities are seen truly 'engaged' in the job on hand making the appeal longer lasting and deeper too. Seeing MM at work is always a delight, as he is always concwntration- personified. Thank you all for helping me travel down the memory lane submitting myself to the glorious past at least for a couple of minutes. Very nice pictures. Many thanks to Mr.Ram for posting them. 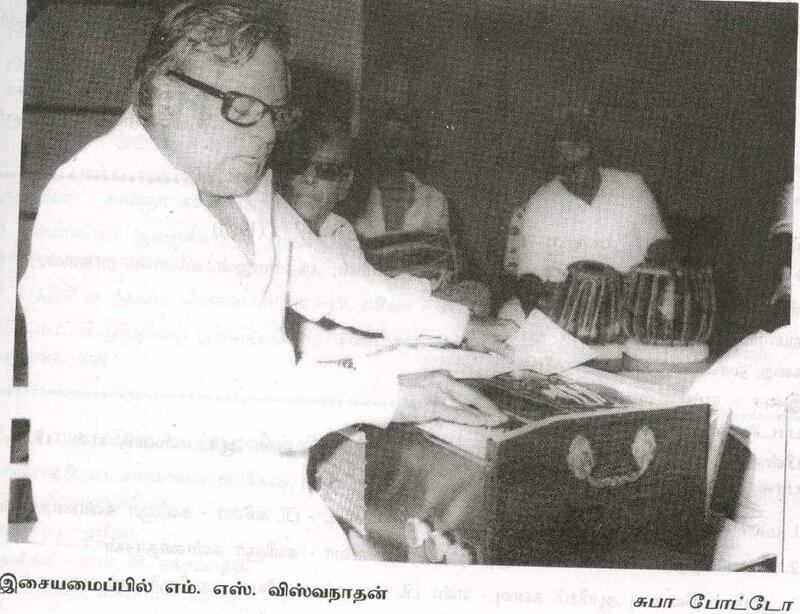 I was very pleased to see Mellisai Chakravarthy being honoured. 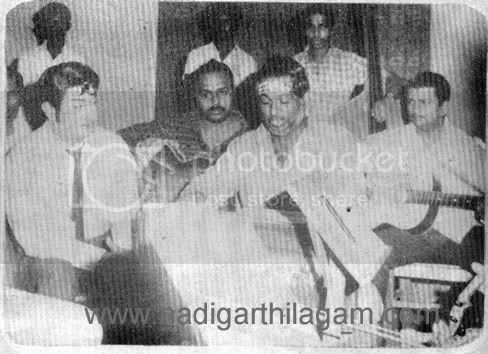 I was also happy to see IR, ARR , SPB and my favourite singers TMS and PS all present at the function. But I do share some of Irenehastings' sentiments about TKR. Photos are very rare. Really very happy to see all this. 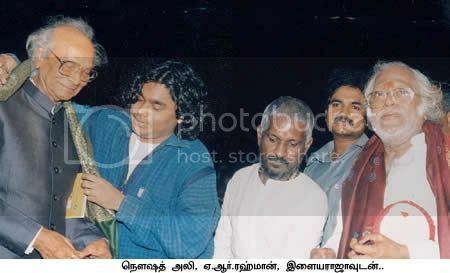 I was very fortunate to attend the function Felicitation for "Mellisai Mannargal" - Viswanathan Ramamoorthy - June-2005. 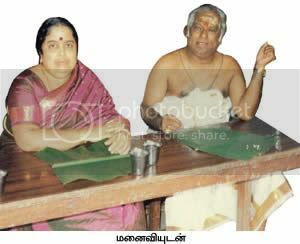 I have seen some of the photos in the book "Mellisai Mannar MSV". The photo gallery was very illustrative. Thank you for the same. This is my first interaction as a member and hope to do so more often. 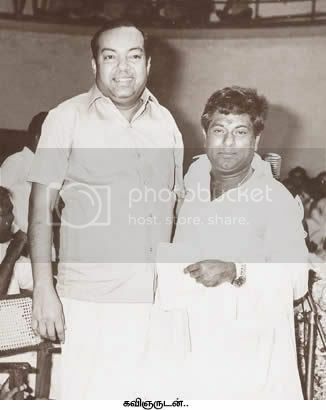 I have attended the concerts of The Great MSV which had the full compliment of various instruments used in recording except the piano. It was a wonderful sight and experience. 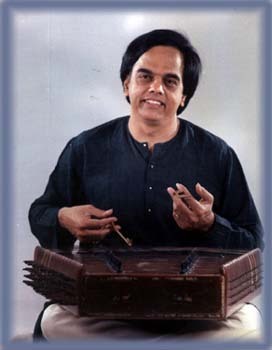 I hope some one has that collection.It would be great for younger musicians to get an inspiration to bring back the glory of his days with LIVE instruments which only MSV had mastered. 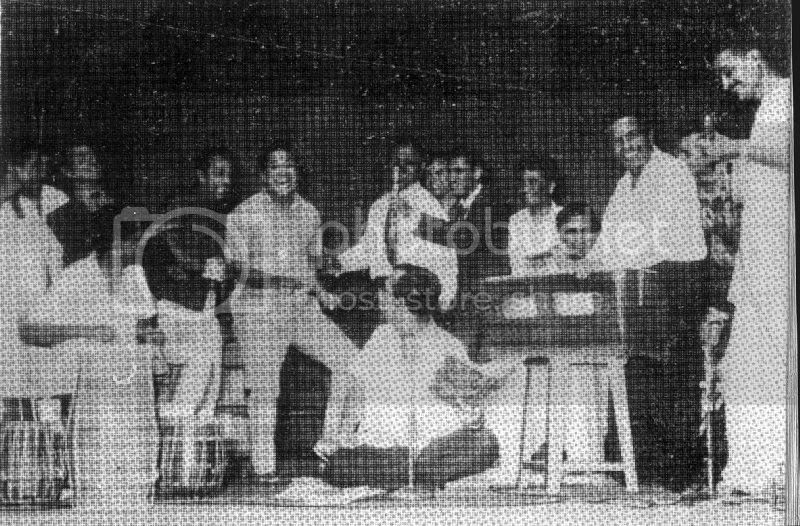 Nadigar Thilagam singing to the tunes of Mellisai Mannar, while PBS the main Singer and Gopi (V. Gopalakrishnan) look on.